I’ve only recently discovered that Tia Knight do power mesh in really fun colours, so I’ve been buying a metre of two of that when I buy other stuff from them. 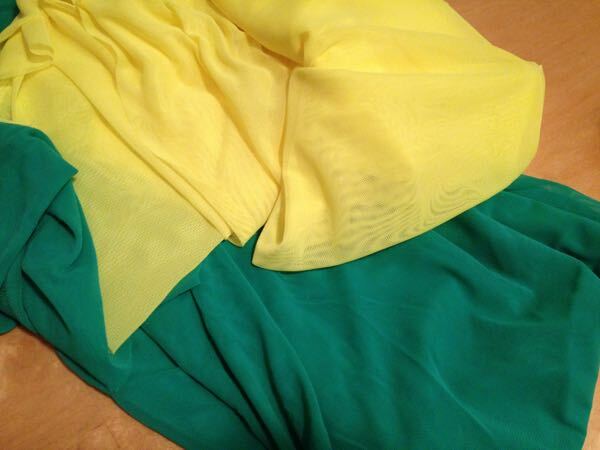 I used the last of my “Damson” power mesh on these so I restocked with some “Flo Yellow” and “Jade” for future sports bras, XYT Workout Tops, or just regular ol’ bra making. I like to have a nice flash of colour inside – I know only I will see it, but it gives me a little ray of sunshine as I’m pulling on my gear early in the morning. 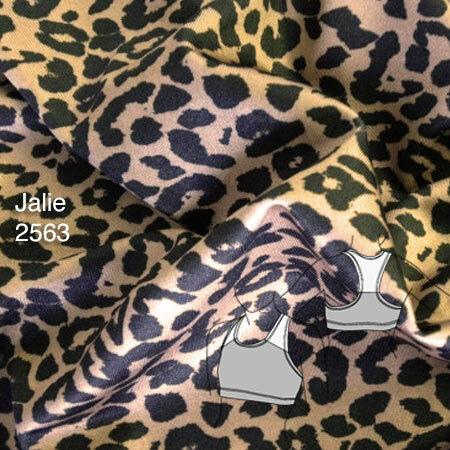 The cheetah print version is exactly the same, only I didn’t have enough damson power mesh for both layers (more on this in a sec), so I did one layer in beige power mesh and just hid it under the damson so you can’t see it anyway. 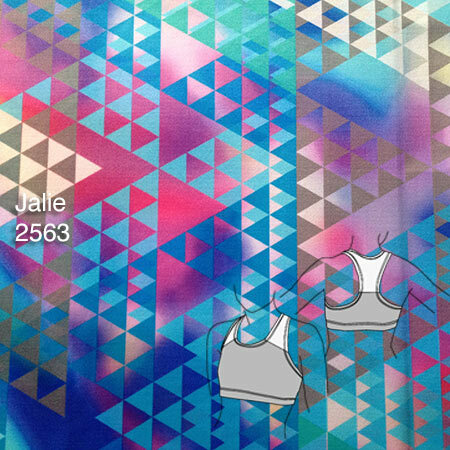 But – as I mentioned before, I don’t make these sports bras following Jalie’s pattern to the letter. 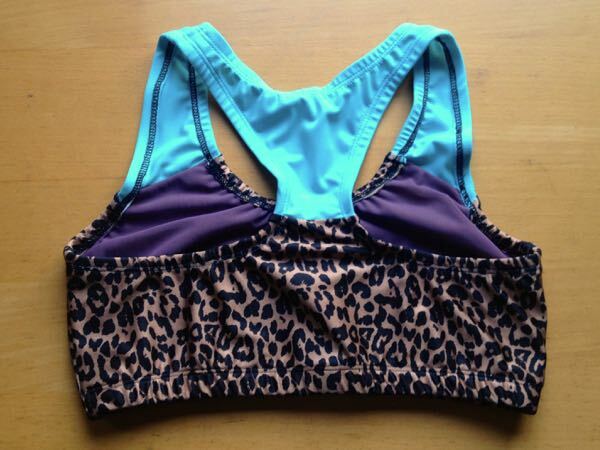 I’ve made some modifications to make these work as sports bras. Jalie never claim that these are supportive, nor do they claim anywhere that this is a “sports bra” pattern, but I’ve found with a few tweaks that these are plenty supportive for my 34Bs to run in. 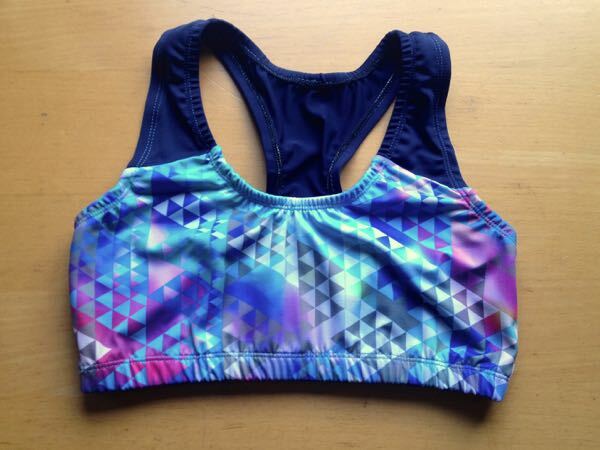 If RTW compression sports bras don’t work for you then this probably won’t either. 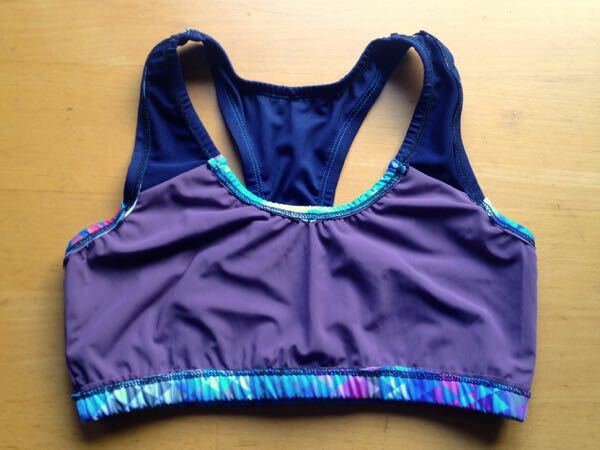 Cut two layers of power mesh lining, front and back: each running in opposite directions. 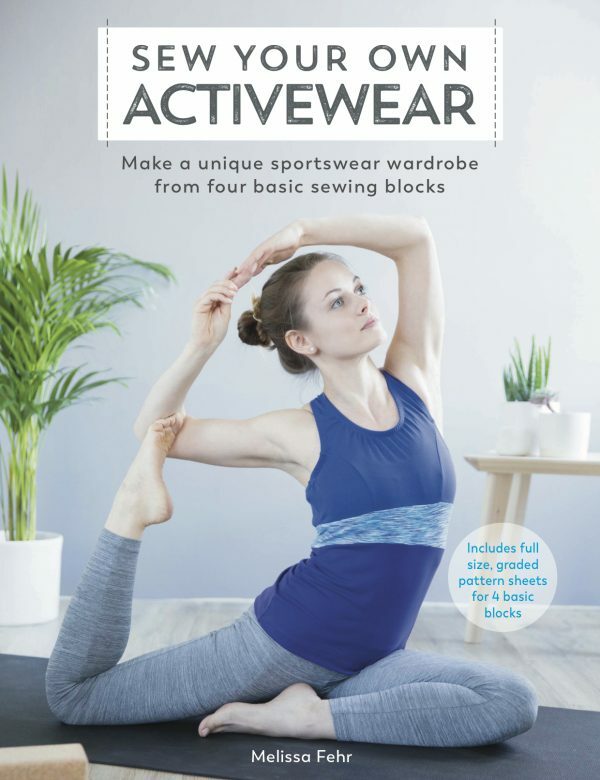 In other words, you’ll cut the Front three times: once in lycra with stretch going around the body, once in power mesh with the greatest stretch going around the body, and another in power mesh with the stretch going vertically. 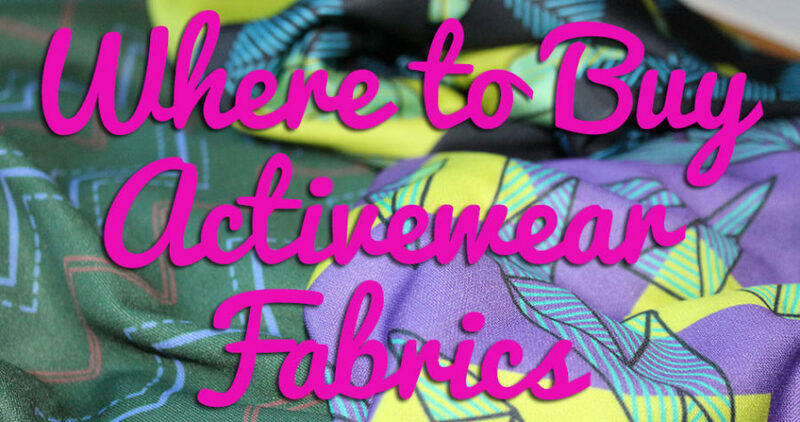 This is important, and probably sounds familiar if you’ve made my XYT Workout Top pattern! Sew the lycra Front & Back together at the side seam, and the power mesh Front & Back together at the side seam, treating the two power mesh layers together as one. 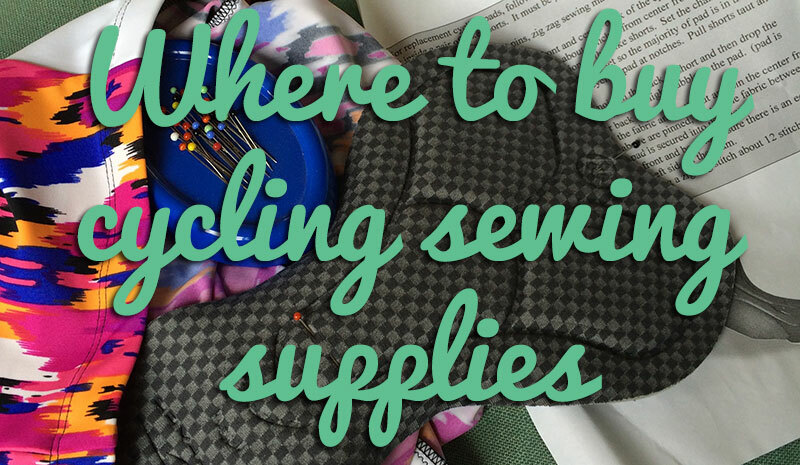 This way you can have the seam allowances facing together and not rubbing against the body. I like to attach my Front to the front straps, and the Back to the back straps using the burrito method so the seam allowances are nicely encased and not against the body. Once these are attached, I treat all three layers as one when attaching the elastic edging. This is personal preference, but I found the front neckline to be way too high. 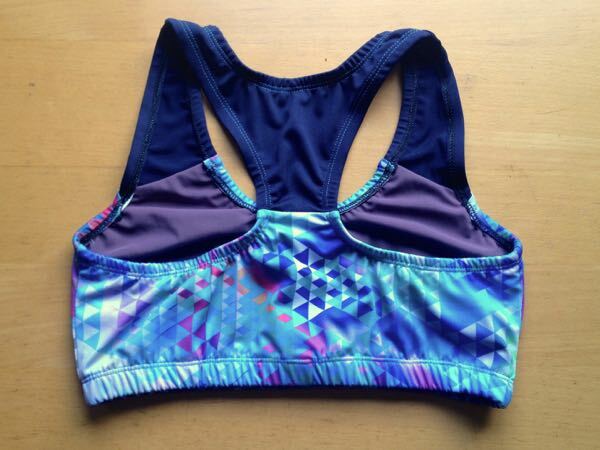 I don’t normally have chafing issues, but my first, tribal print version always chafes me right on the breast bone. In subsequent versions, I’ve lowered the front neckline by 4.5cm (2in), taking out a little from the front straps, too, to make a nice curve, and the chafing has totally disappeared. I personally like the underbust elastic to be tighter than suggested in the measurement chart, but that’s personal preference, too. It looks like a lot written out, but it’s really only an extra layer at the beginning, which is now just second nature to me. And it means I have fun, supportive, and well-made sports bras to wear on my runs! 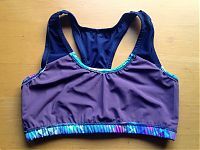 *An encapsulation sports bra is another matter entirely – there’s one pattern, but it’s not reviewed very favourably, and frankly, the engineering involved for those is beyond me at the moment! 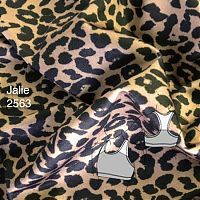 Separator image Posted in Gallery and tagged with exercise, jalie, lingerie.